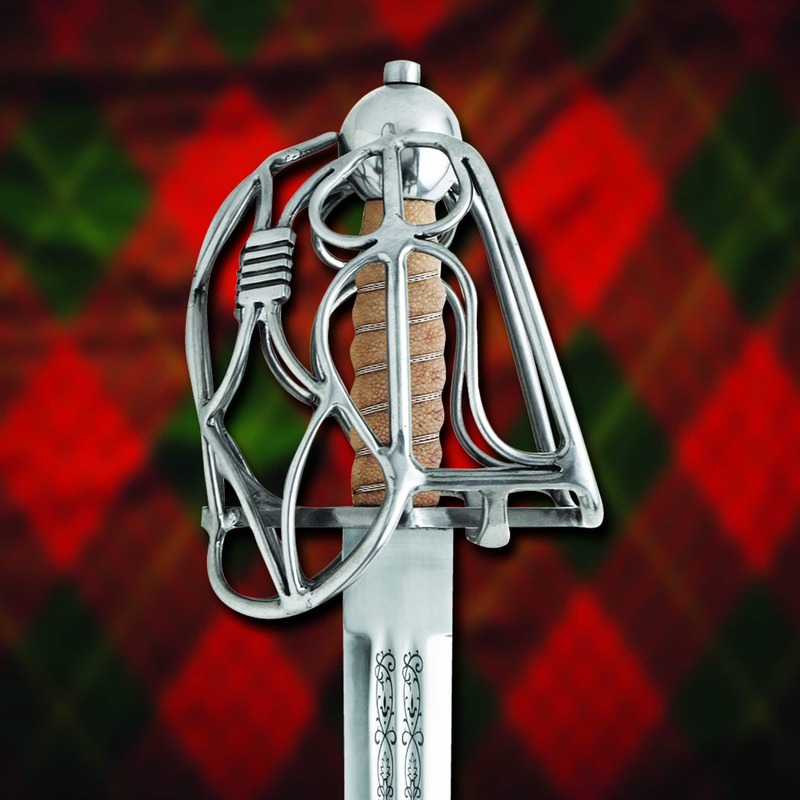 A version of this magnificent sword is housed in the Royal Armories in Leeds. 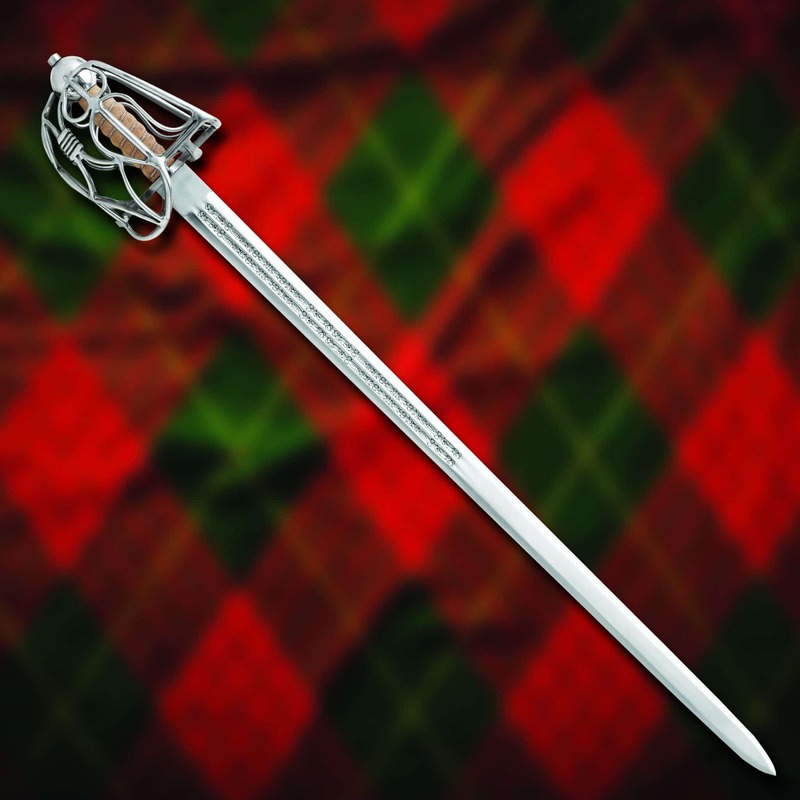 Has an intricate wire basket hilt forming a heavy protective guard. Fitted with a wire bound ray skin for the perfect grip. Has high carbon steel blade with double fullers and lavish patterned etching. 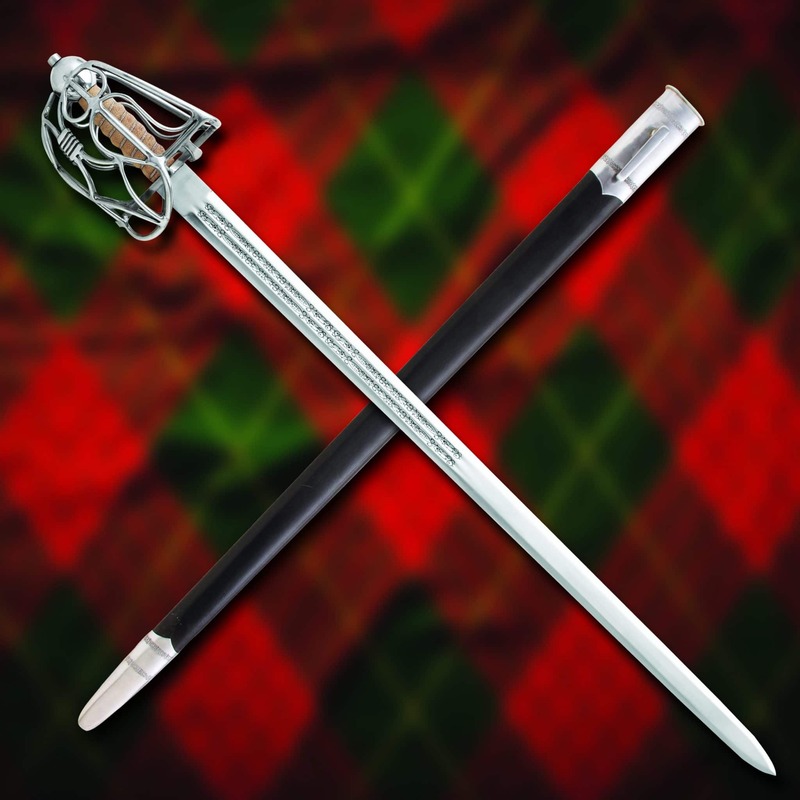 The matching black leather scabbard has a metal throat and tip with matching engraving.